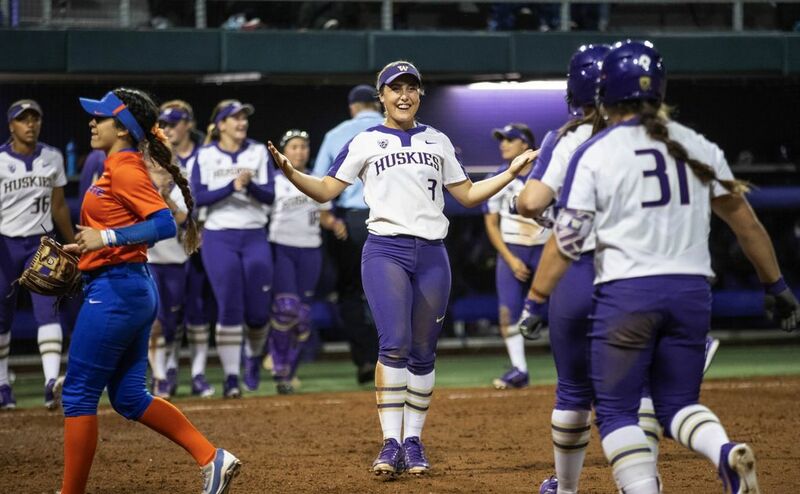 Boise State's pitching staff walked 10 batters and UW rolled into the winner's bracket in the NCAA softball Seattle regional and will play Texas on Saturday at 2 p.m.
You have to look back to 1994 to find the last time Washington lost its opening game in any NCAA softball regional. And with the upstart Boise State Broncos coached by former UW assistant coach Cindy Ball, the visitors knew they’d have an uphill battle going into their Friday night game against the seasoned Huskies, who were making their 25th straight NCAA tournament appearance and hosting the NCAA regional for the third consecutive year. The Mountain West champion Broncos were playing in the NCAA tournament for the first time in school history, and with that inexperience came some growing pains. 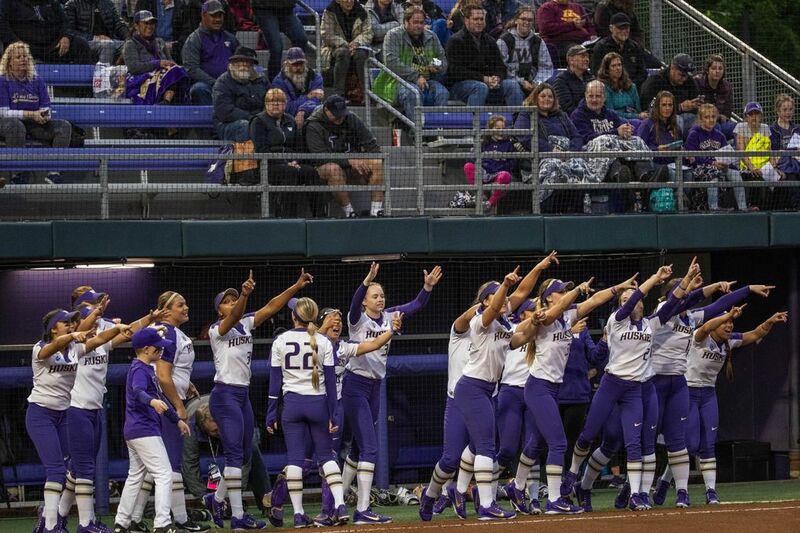 UW vs. Texas, 2 p.m. 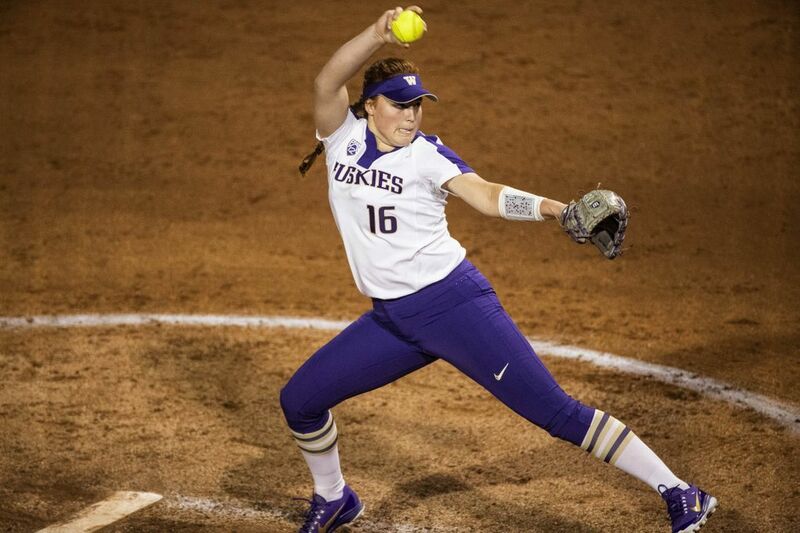 Even though Broncos starting pitcher Kelsey Broadus did not give up a hit to UW through three innings, she struggled with her control in the Huskies’ 8-0 win. 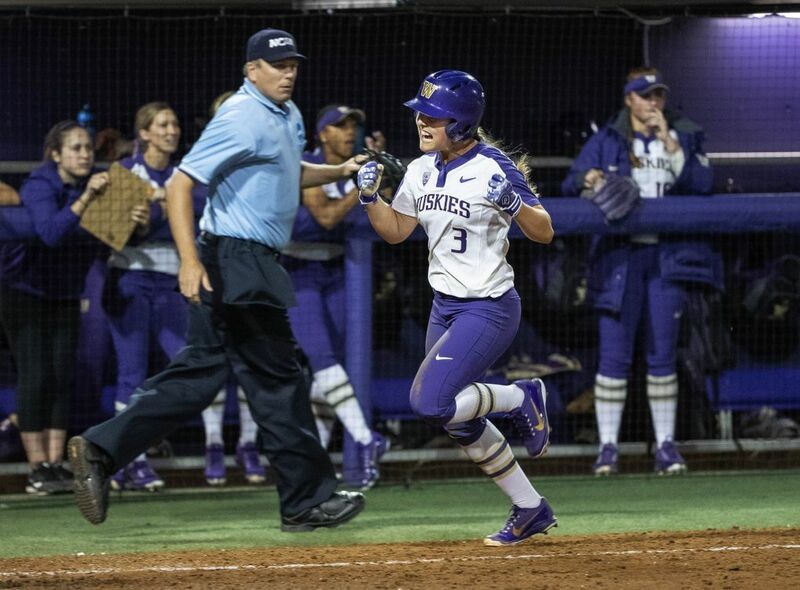 With the win, UW plays Texas (33-24) in the winners bracket in a 2 p.m. game on Saturday. 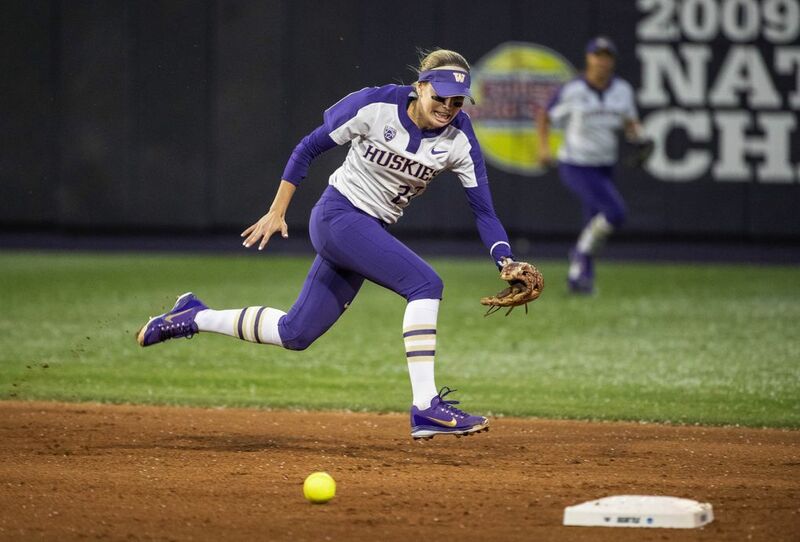 The Longhorns upset 25th-ranked Minnesota earlier Friday evening to earn a rematch of their game in February in Austin that UW won 2-1. 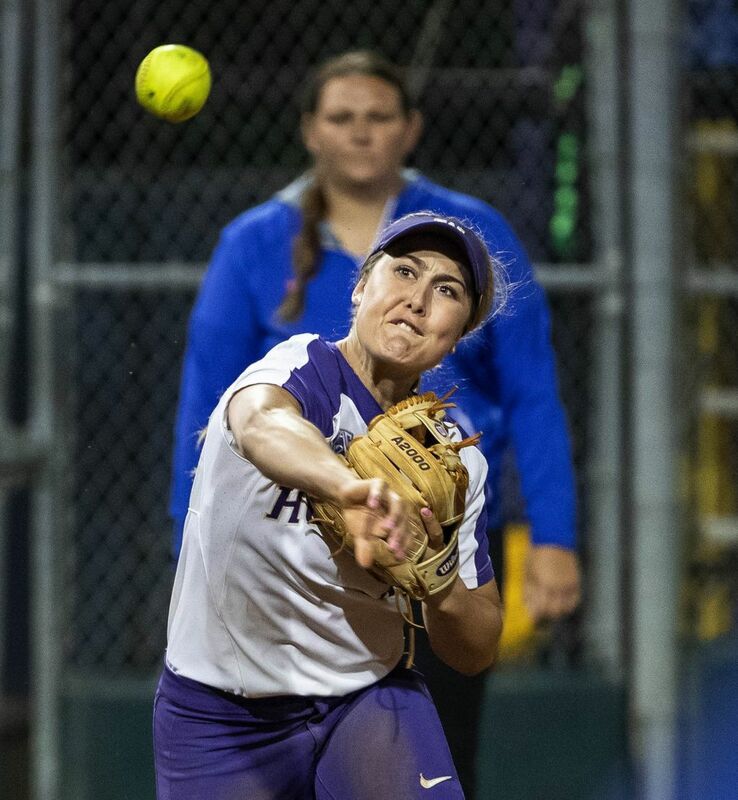 Broadus pitched 3 2/3 innings and walked seven Husky batters, including three leadoff walks in the first four innings that contributed to the Broncos’ early struggles. 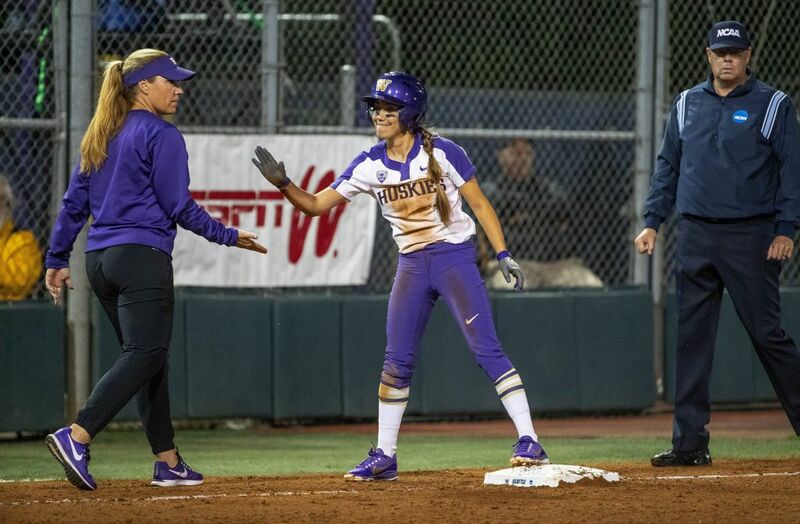 UW did not manage a base hit until the fourth frame, but the Huskies opened the scoring on a bases loaded walk in the second inning to go up 1-0. 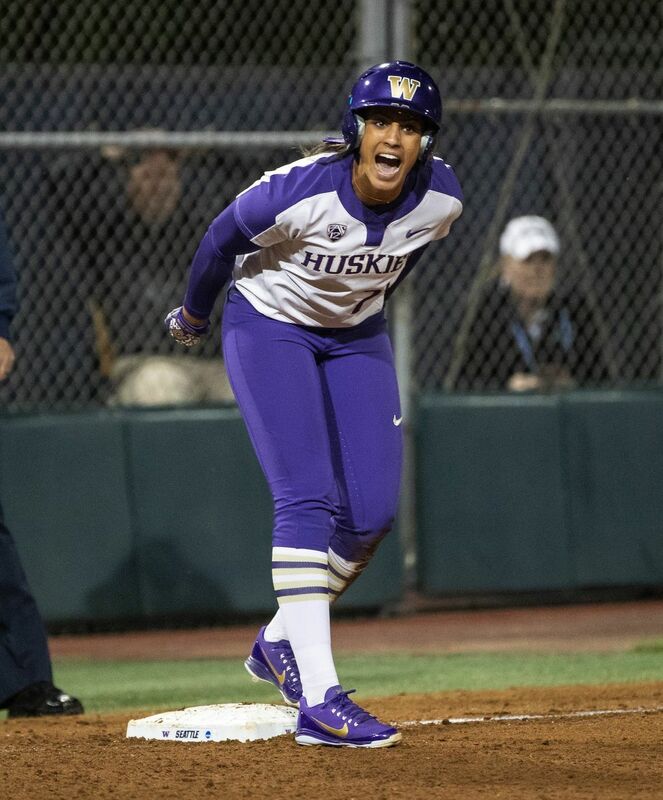 The Huskies broke the game open in the bottom of the fourth when they went through the batting order and scored four runs due in large part to a leadoff walk from Broadus, a Boise State fielding error, a couple of UW stolen bases, and back-to-back singles from Kirstyn Thomas and Emma Helm. 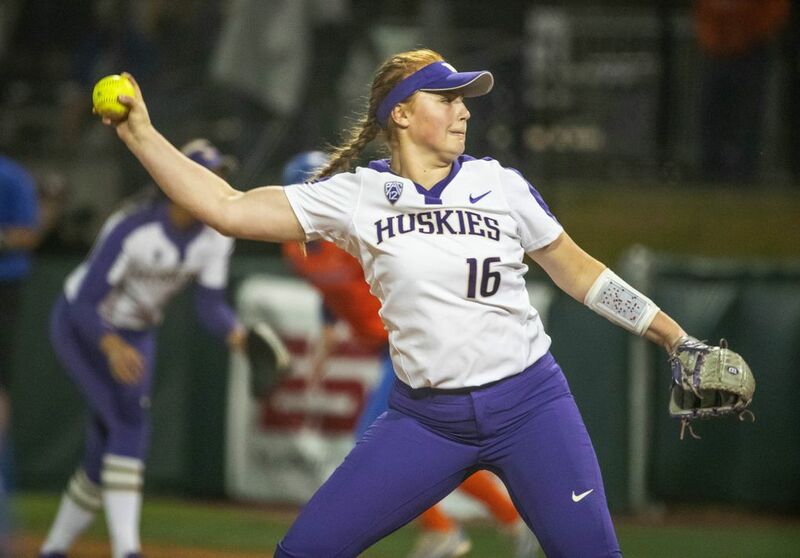 With junior ace Taran Alvelo nursing a sore back, freshman pitcher Gabbie Plain got her first career postseason start for UW. 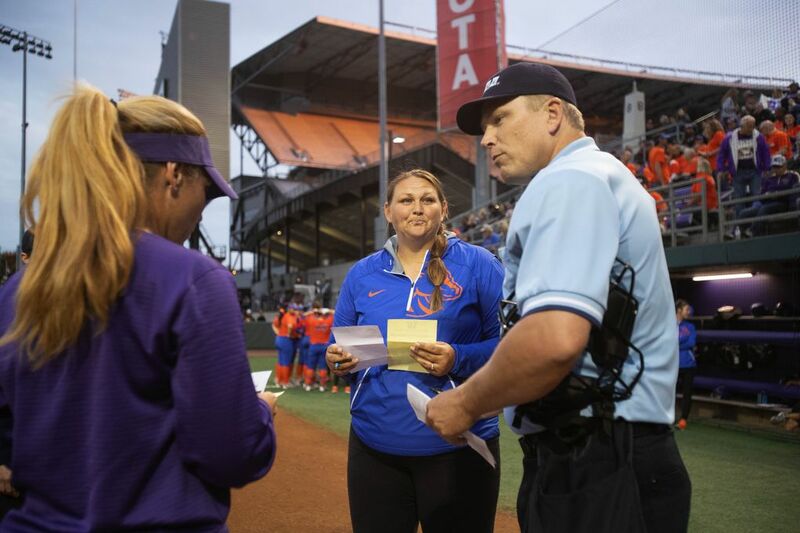 If Plain was dealing with any rookie nerves of her own, she held them at bay and did not crack under the pressure. 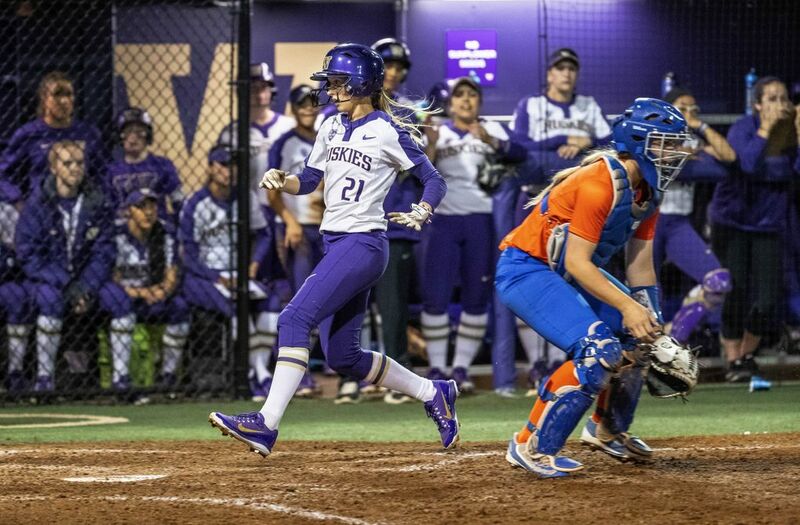 Despite walking three and allowing five hits — including three singles in a dangerous fourth inning that saw the Broncos load the bases — Plain also struck out six and fielded four ground outs. 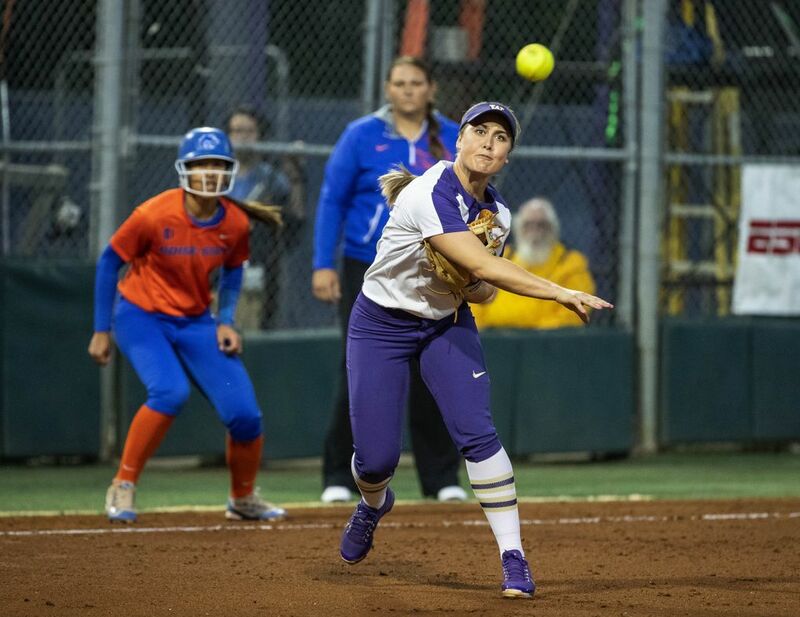 Several of those strikeouts came when they mattered most: with the Broncos threatening to score and Plain having pitched herself into a jam. 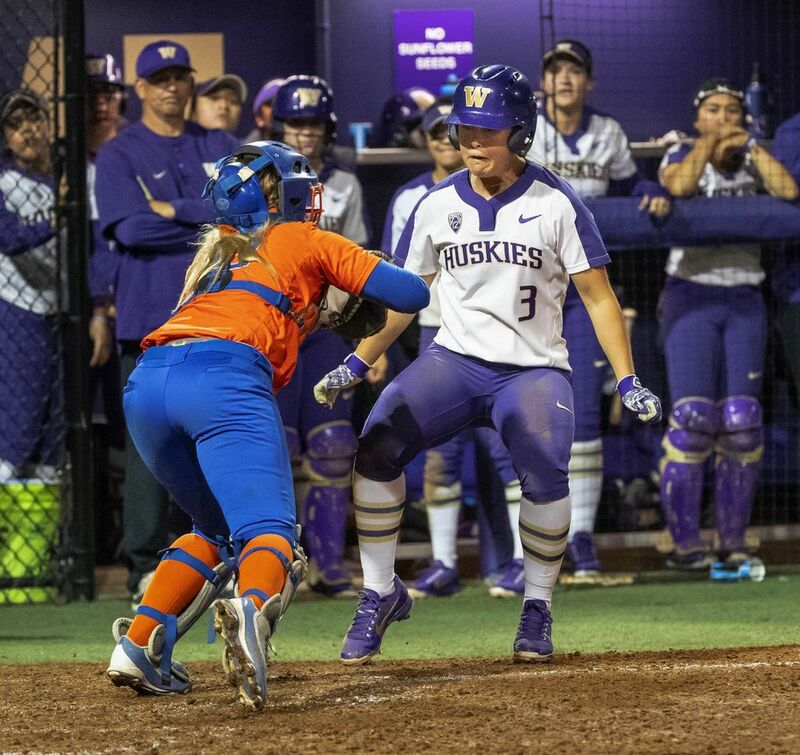 Plain got Boise State pinch hitter Morgan Lamb to strike out swinging in the top of the fourth, with the bases loaded, then did it again in the fifth, overcoming a leadoff single and an early walk that helped the Broncos get into scoring position to strike out Jessica McKay and efficiently field a grounder from Kora Wade for the final two outs. 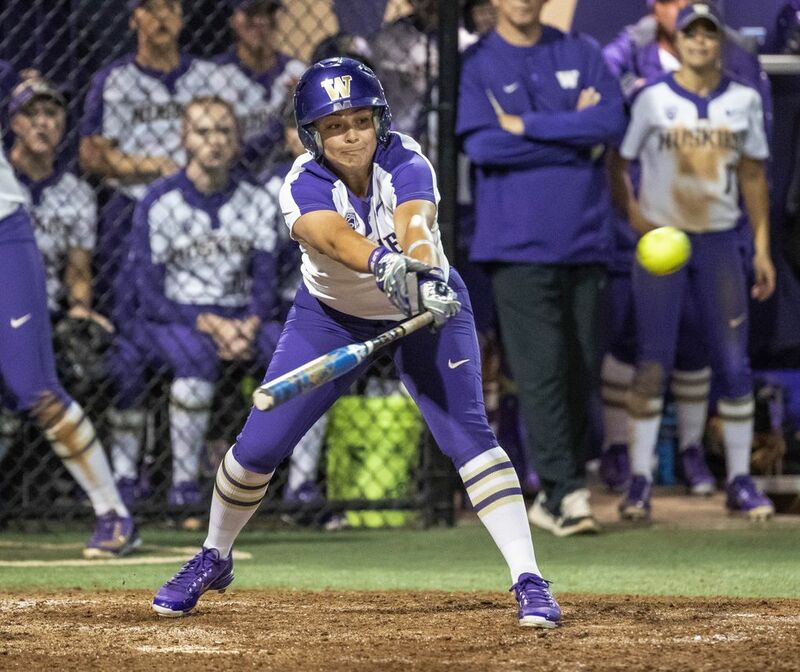 Leading 5-0 in the bottom of the fifth, UW went for the jugular, scoring two runs with RBI singles from Kelly Burdick and Julia DePonte to go up 7-0. 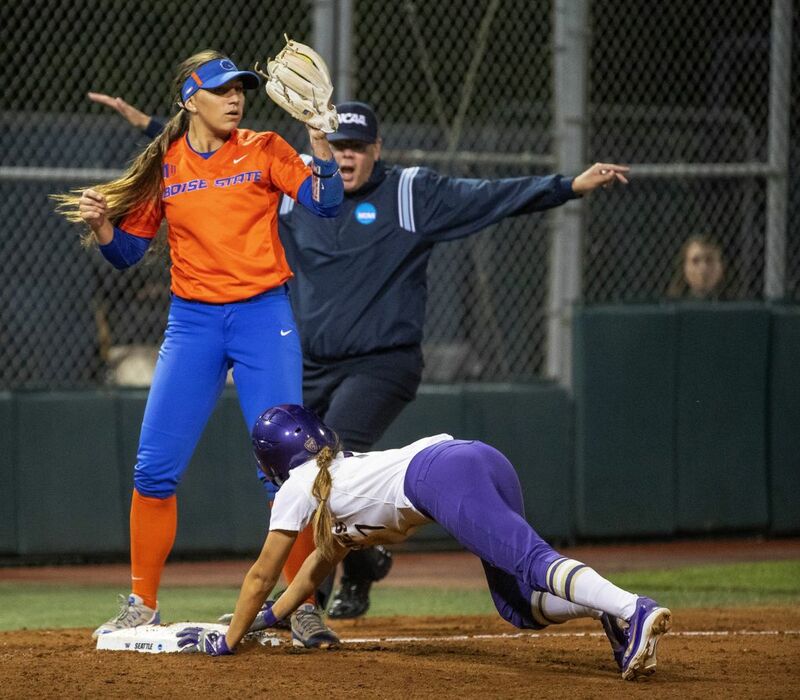 Somewhat aptly, in a game that featured a season-high 10 walks from Boise State’s pitching staff, things ended on a bases-loaded walk, when Broncos substitute pitcher Gianna Mancha walked Emma Helm to send Sis Bates home for the eighth run that resulted in the run rule kicking in. “Washington is a strong team. Matching up with their hits and only giving up four earned runs, I’m really proud of what (we) did,” Ball said.